We are proud of the outstanding reputation we have built, our high quality of work and the excellent customer service we provide. No job is too big or too small for our time-served, highly skilled mechanics who can carry out all kinds of work including laser wheel alignment, engine diagnostics and puncture repairs. Please visit our other website The Harbour Auto Centre. 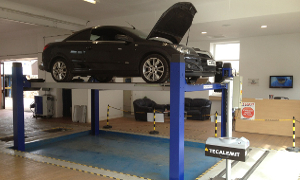 Fort Street Motors in Broughty Ferry, Dundee, provides an extensive range of garage and motor services. 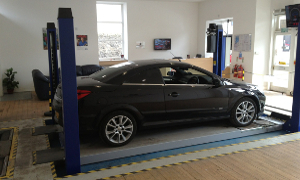 We offer vehicle servicing and repairs on all makes and models of vehicle and carry out MOT tests. Our qualified mechanics undertake all types of work and we offer a 1 year and 6000 mile warranty on all of our work and the parts we fit. New tyres, brake discs and pads, clutches and full or part exhaust systems are all available. Why not contact us to book your vehicle in for work?